Cleaning Tips & Promotions — Leticia's First Class Cleaning Inc.
After a baking session this holiday season create a baking soda paste to clean your stovetop and oven of all the baked-on gunk. Tagged with holiday cleaning, leticias first class cleaning inc., housekeeping, cleaning tips, cleaning recipes, power of baking soda. December 5, 2018 by Leticia Gomez. leticias first class cleaning inc.
Pamper your palace with Leticia's First Class Cleaning Inc.! 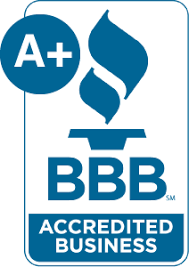 The professionals at Leticia's First Class Cleaning Inc. hold themselves to a higher standard, in fact they insist upon it. They offer customers not just a clean home but a fresh start and a new outlook. Leticia's team comes with very competitive pricing and a reliable work ethic, all built around providing top rate performance and customer service. Ask about our regular home cleaning option, and the system we use to guarantee your place stays clean and organized. Integrity is at the heart of all we do at Leticia's. We handle one-time assignments, weekly appointments and even offer extensive annual visits. Whether moving in or moving out, de-cluttering a garage or just clearing your backyard, Leticia's is the last call you'll have to make. Pamper your palace with Leticia's First Class Cleaning Inc.! Call us at (805) 610-7478 or email us today for a free estimate. April 7, 2014 by Leticia Gomez.